Offered September – May. Registration for the upcoming school year opens on August 1. As a field trip destination, Manatee Lagoon welcomes school and camp groups to help educate youth about manatees and Lake Worth Lagoon. 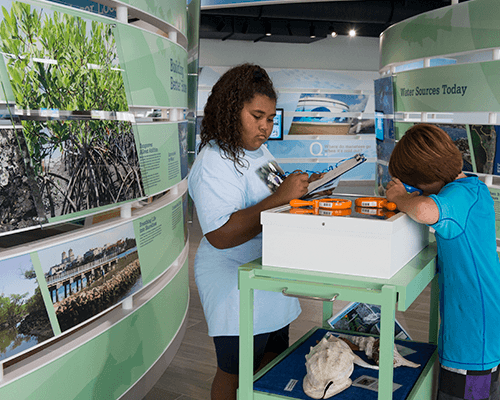 Manatees and Me (K-1) – Little ones will learn about manatees by making comparisons to themselves and other animals, and by exploring some of the survival needs of these marine mammals through interactive activities. 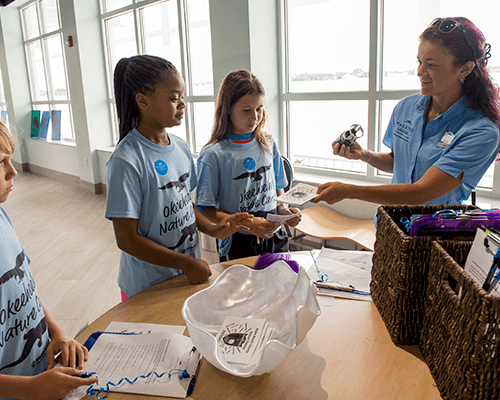 Manatee Lagoon Observers (2-5) – Youngsters will explore the biology and ecology of manatees and Lake Worth Lagoon, making their own observations of these amazing creatures (if present) and the lagoon along the way. Marine Food Web (3-5) – Upper elementary students will delve into marine food webs while learning about some of the adaptations and needs of local aquatic life ranging from small (e.g. plankton) to large (e.g. manatees). Understanding Manatees, Inside and Out! 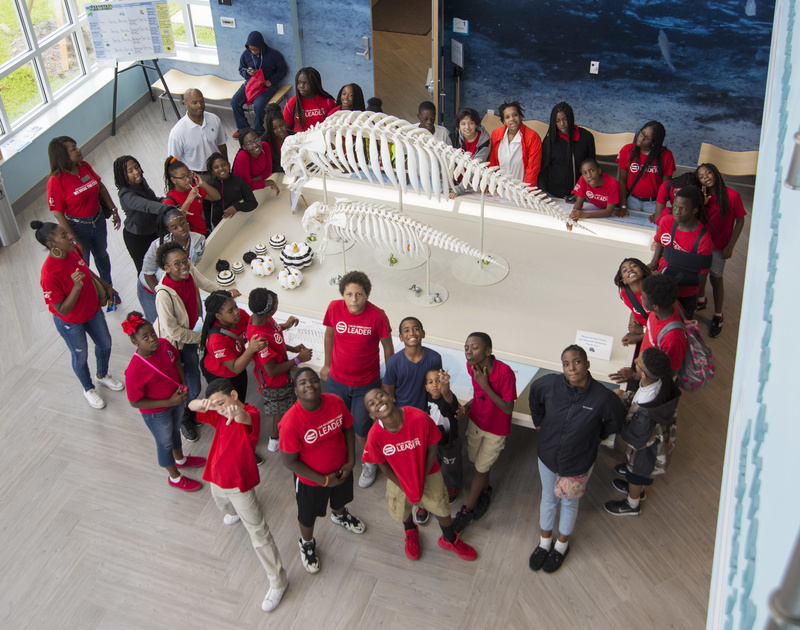 (6-8) – Middle school students will explore the resources manatees rely on to survive and examine challenges these gentle giants face, including factors that threaten their survival. 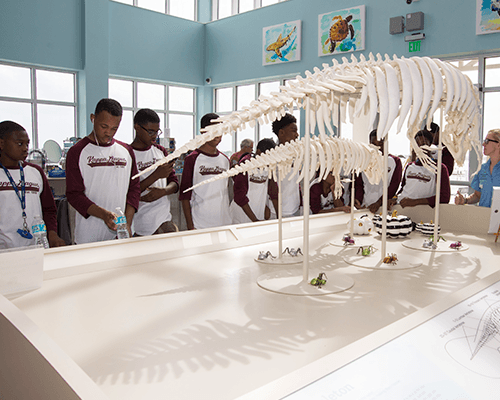 Manatee Adaptations (6-8) – Middle school students will be introduced to the anatomy of manatees, learning how they are classified and how manatee anatomy compares to that of other mammals. Properties of Seawater (9-12) – High school students will take a closer look at the environment in which manatees live by learning about and testing various properties of water. Cost – Free, including parking.